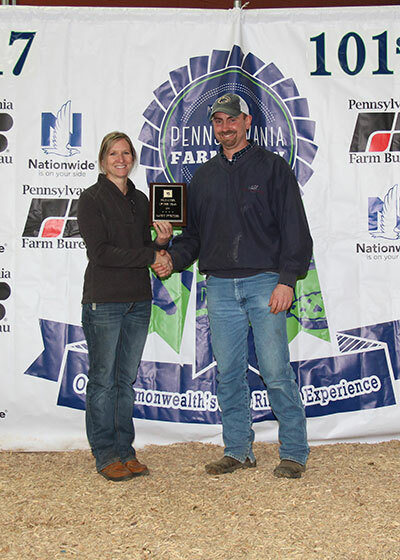 Pennsylvania Angus breeders attended the 2017 Pennsylvania Angus Association Annual Meeting and Banquet, January 6 in Harrisburg, PA. Photos by Chris Jeffcoat, American Angus Association. 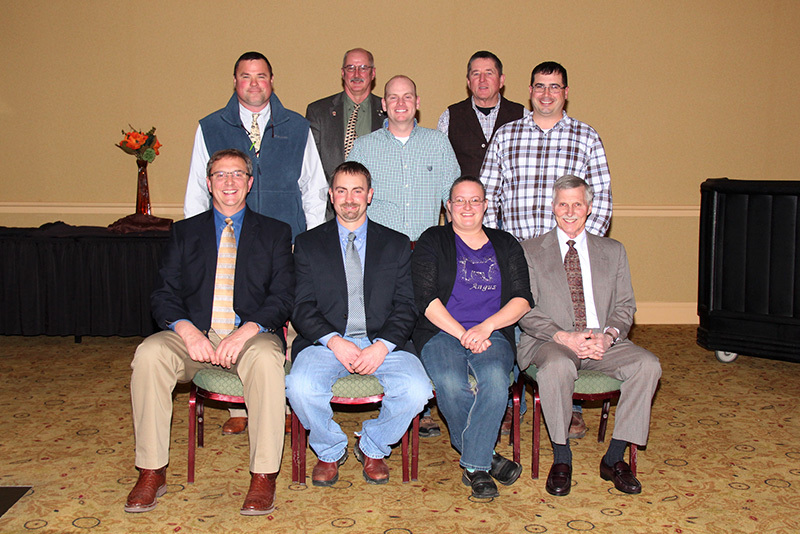 These Angus producers will serve on the Pennsylvania Angus Association Board of Directors and are pictured at the 2017 Pennsylvania Angus Association Annual Meeting and Banquet, Jan. 6 in Harrisburg, PA. Pictured front row from left are Chad Cash, York, Vice President; Wendell Landis, Pennsylvania Furnace, President; Jamie Brozman, Nazareth, PA., Secretary; and Brad Bishard, York, Treasurer. Back row from left are Delbert Voight, Fredericksburg, Director; Gene Trowbridge, Meshoppen, Past President; Kyle Grim, Thomasville, Director; Dennis Byrne, Nottingham, Director; and Deric Horting, Newport, Director. 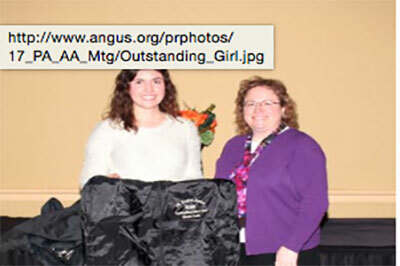 The Pennsylvania Angus Association presented Alexis Cash, York, left, with the Outstanding Girl Award at the 2017 Pennsylvania Angus Association Annual Meeting and Banquet, Jan. 6 in Harrisburg, PA. Pictured presenting the award is Cathy Rohrbaugh, Junior Advisor. 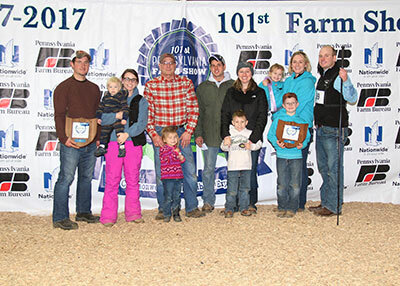 Beaver Creek Angus, Thomasville, was named Breeder of the Year at the 2017 Pennsylvania Angus Association Annual Meeting and Banquet, Jan. 6 in Harrisburg, PA. Pictured from left are Jared Miller, Hannah Miller holding Sawyer Sparks, Greg Grim, Kassie Sparks, Denton Grim, Casey Grim, Hayden Sparks, Kolton Grim, Kait Grim holding Kinleigh Grim and Kyle Grim. 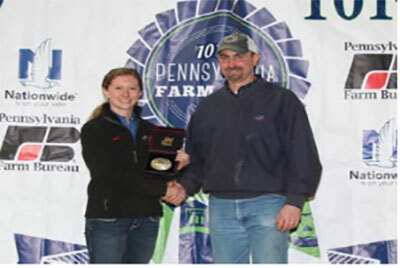 Sandy Sweitzer, Wellsville, left, was named Promoter of the Year at the 2017 Pennsylvania Angus Association Annual Meeting and Banquet, Jan. 6 in Harrisburg, PA. Pictured presenting the award is Wendell Landis, Pennsylvania Angus Association President. 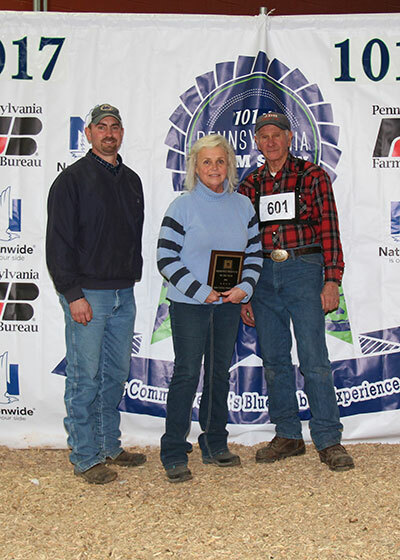 JDH Cattle Company, Dover, was named Seedstock Producer of the Year at the 2017 Pennsylvania Angus Association Annual Meeting and Banquet, Jan. 6 in Harrisburg, PA. Pictured from left are Wendell Landis, Pennsylvania Angus Association President, presenting; and JoAnn and John Hausner, Recipients. 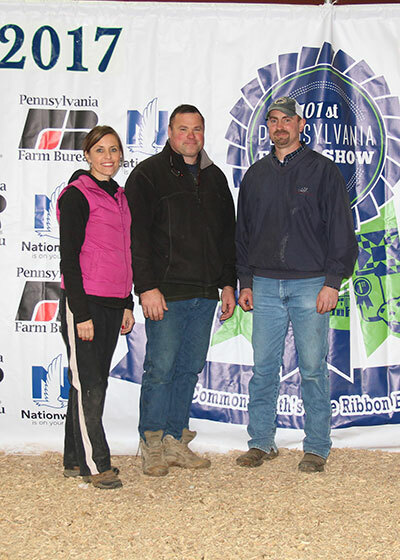 The Voight Family, Fredericksburg, was named Family of the Year at the 2017 Pennsylvania Angus Association Annual Meeting and Banquet, Jan. 6 in Harrisburg, PA. Pictured from left are Lori and Delbert Voight, recipients; and Wendell Landis, Pennsylvania Angus Association President, presenter.